All projects need key persons to complete the desired goal. Without these important people, the goal can never be achieved. With this reason, business establishments, employers, and clients hire competent and loyal individuals who will be part of their team. As clients, you need to value the people in your business including the people who work for you under a contract, known as contractors. 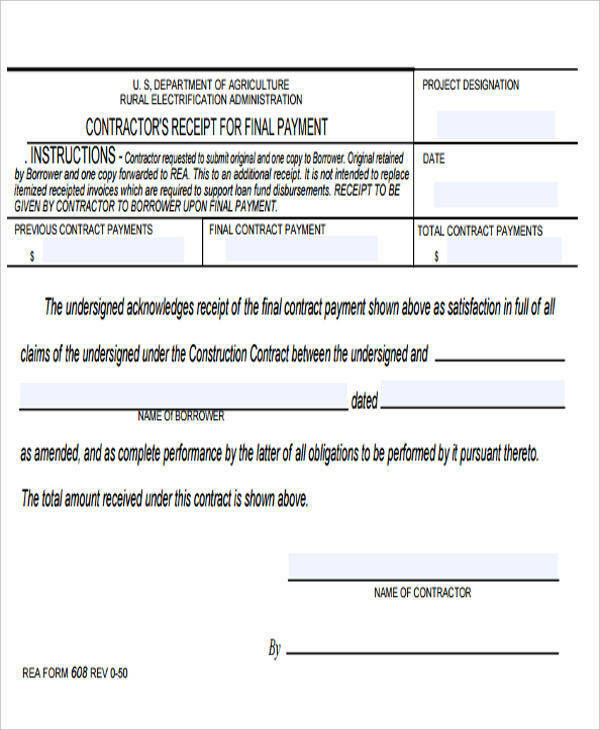 These contractors require proper compensation for the services they are offering to the project. 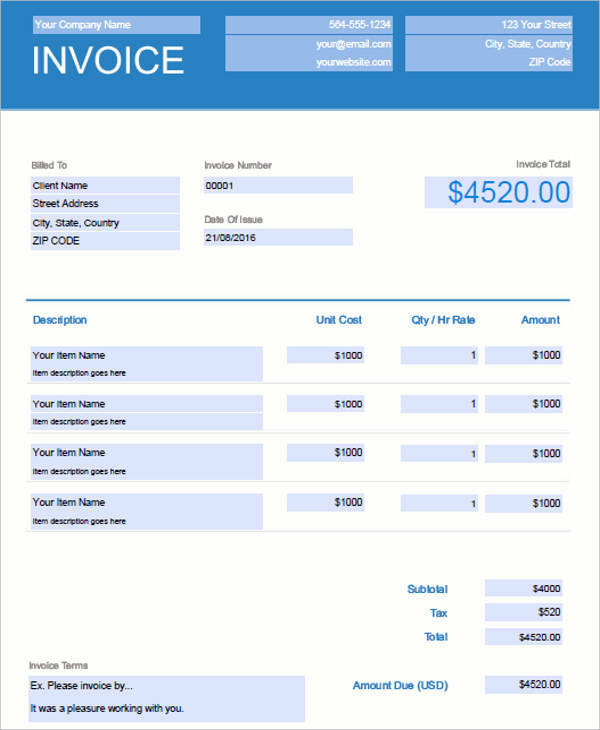 For a more organized and professional payment, Contractor Receipt is useful in giving salaries to the contractors of your project. 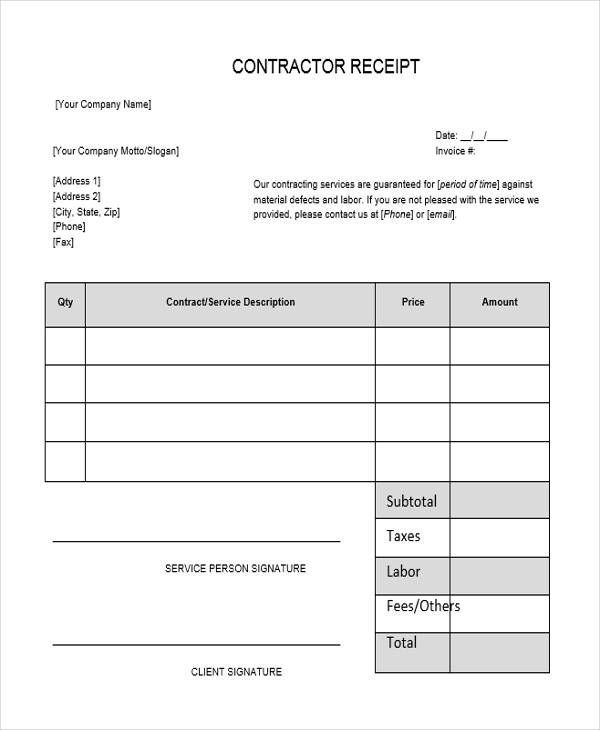 A contractor can either be an individual or business company that is hired to perform services under a contract. 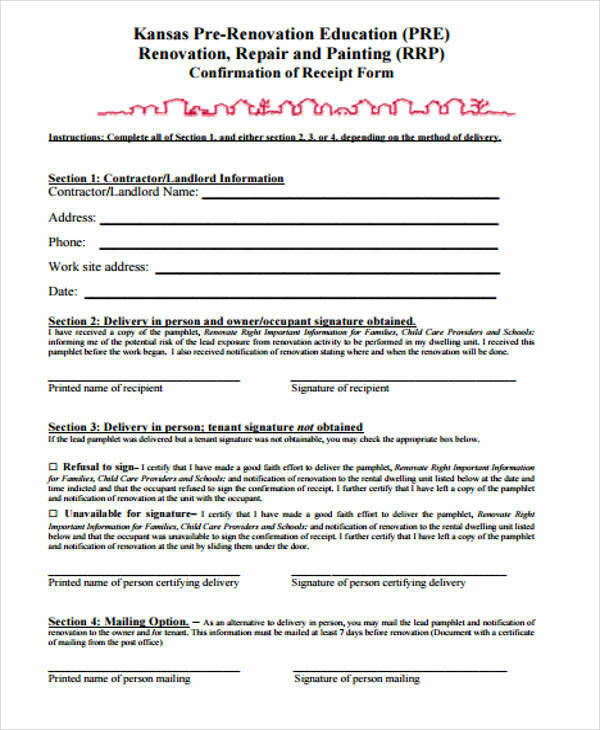 A contractor must uphold the agreement in the contract for it binds both the contractor and client. 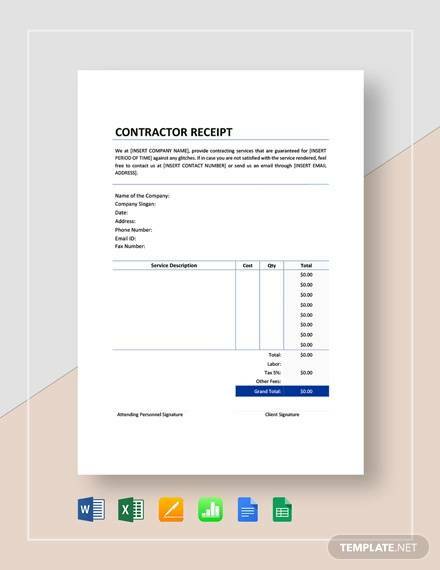 In paying a contractor, clients should have essential documents such as Contractor Receipts to formally acknowledge the payment of the contractor. 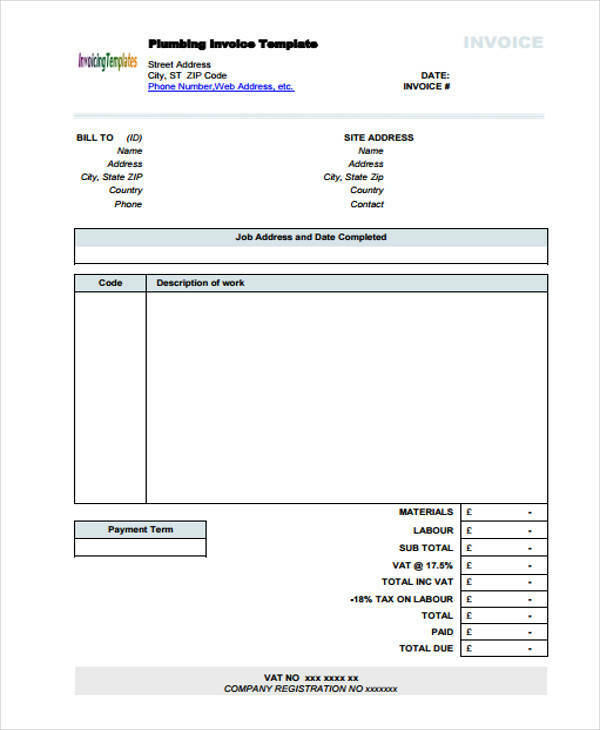 You may also see Sample Receipts for other receipt templates. Generally, there are different types of contractors based on their nature of work. The following are the common types. General Contractor: This contractor is the one who manages and oversees a construction project until its completion. He directly works under the client or any construction firms who hired him. General contractor sees to it that the project is following the scheduled plan. He checks the materials, equipment, and resources that are used in the construction. Necessary documents are supervised and collated by him. Prices and biddings are also administered by the general contractor. Subcontractor: This contractor is under the supervision of the general contractor. 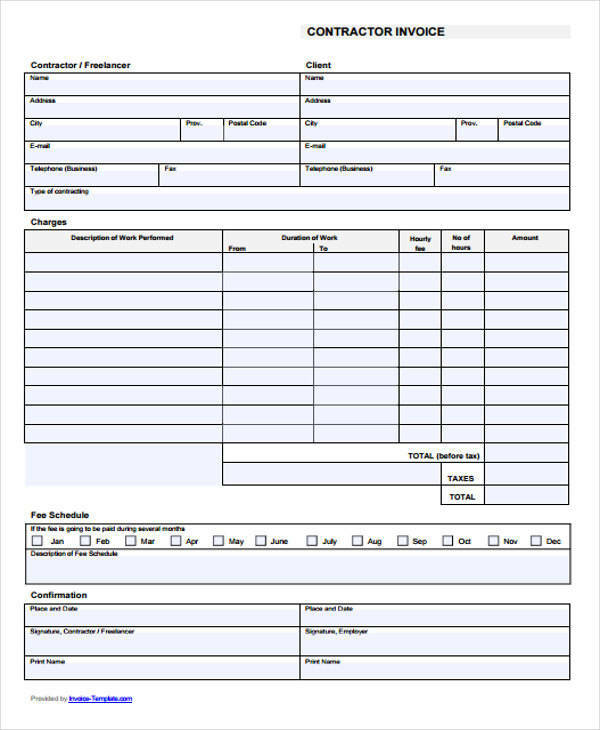 The subcontractor’s job is to fulfill the tasks stated in the general contractor’s contract. A subcontractor can be an electrician, plumber, construction worker, painter, roofer, and the like. 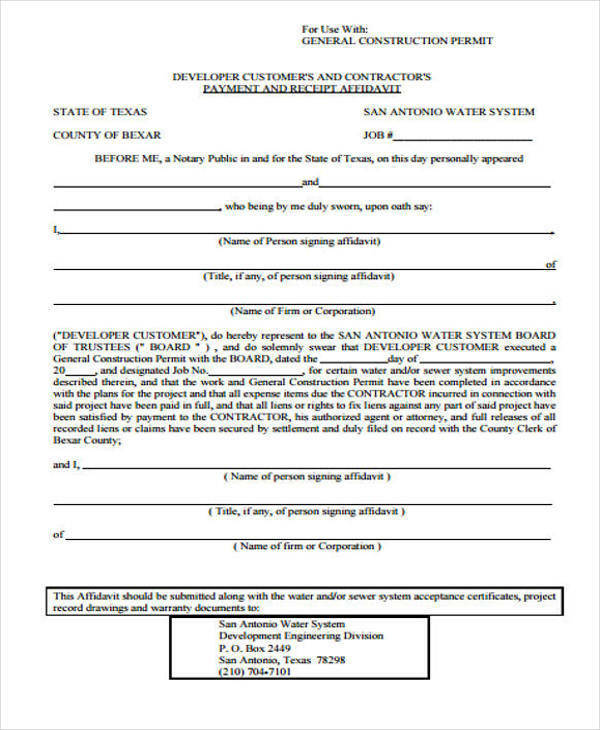 Government Contractor: This contractor can either be private or public company that is hired by the government to provide goods or perform services under a binding contract. Defense Contractor: This contractor can either be individuals or business companies that provide goods or perform services to the military sector of the government and citizens. They supply ammunition, weapons, vehicles, and other defense-related technologies. Independent Contractor: This contractor provides goods and performs services for the client or company under a binding contract. The contractor has the freedom to decide his schedule, tasks, and plans provided that he follow all provisions in the contract. As an independent entity, he does not have any benefits and privileges similar to a regular employee. 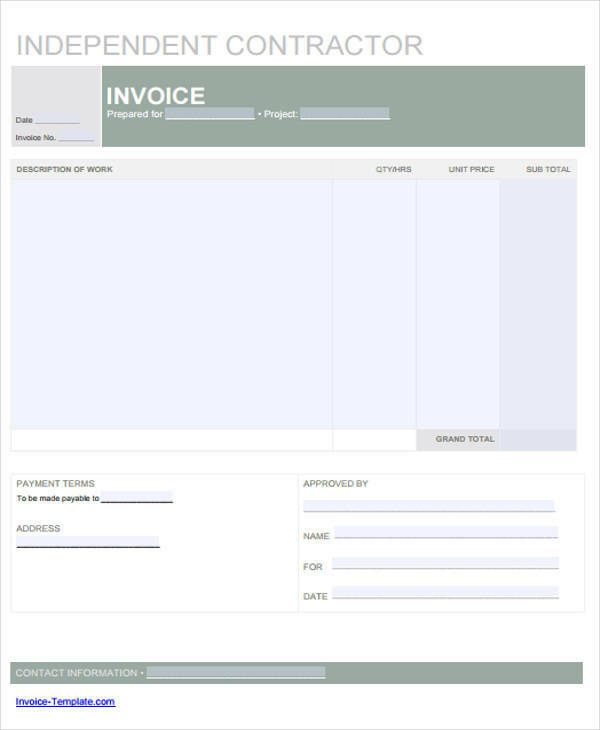 These are the information needed to be provided by the client or construction firms. The necessary information must be legibly provided to avoid any mistakes along the transaction. 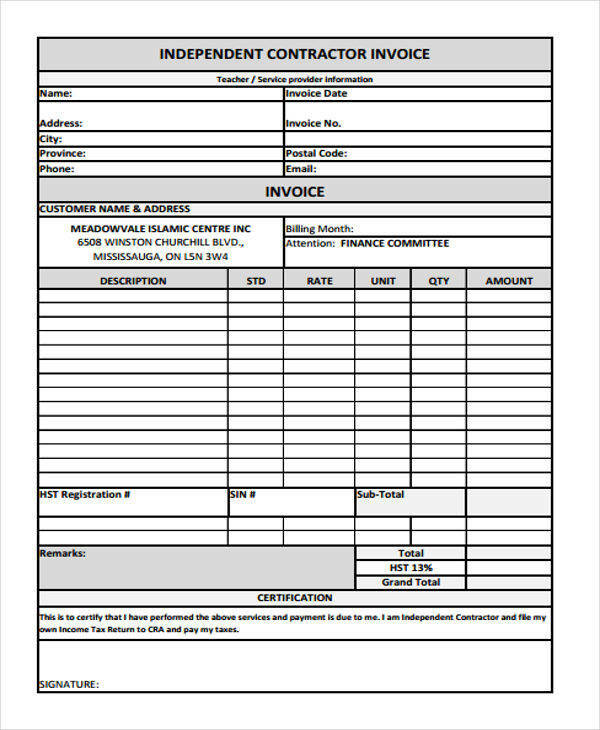 Receipts Form and Receipt Templates are available on our website should you want to have a copy. 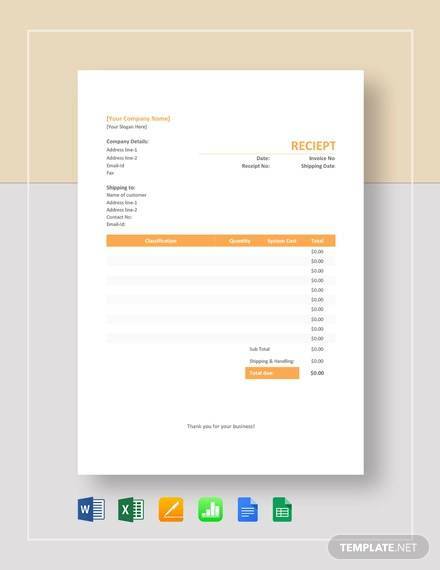 Visit us to discover more receipt templates.